The cause of the fire is still being determined by forensic experts, but Knight speculates on a range of igniters—anything from a cooking accident to an attack. What is clear: “These people were rich, they wanted for absolutely nothing. The site is so rich in material goods we have to look now at other bronze age sites where very little was found, and ask if they were once equally rich but have been stripped,” Knight says. 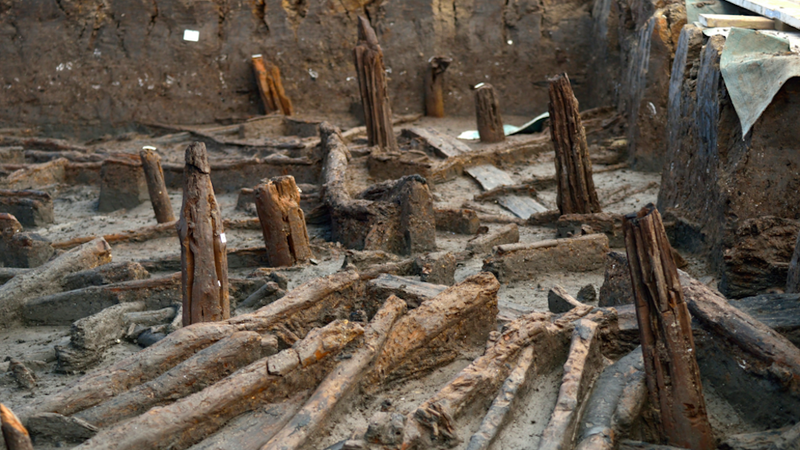 Based on the food remains found in the home (the meat was mostly land-dwelling animals, not seafood), the archeologists also suspect that the homes were built over a waterway not for fishing, but to control boat transit. Image via the Cambridge Archaeological Unit.